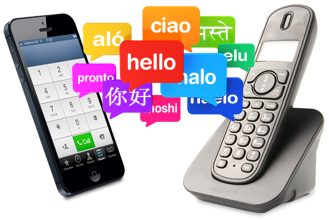 This page (together with the Auracall Privacy and Cookies Policy) tells you, a particular user of a Product and/or the Website, the applicable terms and conditions (the "Terms and Conditions") on which we supply any of the Products listed on our websites http://www.auracall.com/ttalk and http://www.auracall.com/classic (home pages and underlying webpages) or any other collection of information and/or applications operated by Auracall Limited relating to the Product which is available for access to you (the "Website"). For the elimination of doubt, any purchase of a Product outside of the Website, offline or otherwise will be governed by these Terms and Conditions and any reference to the Website. Please read these Terms and Conditions carefully before ordering any Products from us. You should understand that by ordering any of our Products, you agree to be bound by these Terms and Conditions. You should print a copy of these Terms and Conditions, and any amended versions from time to time, for your future reference. These Terms and Conditions govern the supply of any Product by us, ordered by you on the Website. By accessing or using the Website and agreeing to order a Product (or enabling anyone else to do so) you agree to be legally bound by these Terms and Conditions. references to "written" or in "writing" (except in respect of sending a notice in accordance with Clause 23.8) includes in electronic form. We reserve the right to amend these Terms and Conditions at any time. All amendments to these Terms and Conditions will be posted in the latest Terms and Conditions online on the Website, although we may also email you with the latest draft. We may introduce the change with or without notice to you, although where we reasonably consider the change to be significant, we shall endeavour to give at least 30 days' warning of the change. In any event, you are responsible for regularly reviewing information posted online and the latest Terms and Conditions to obtain timely notice of all changes. Should you continue to use the Website and/or Product following a change after such has been published, you will be deemed to have accepted such the amended Terms and Conditions. You may also request a printed copy of these Terms and Conditions by contacting our Support Centre. The Product includes "Classic" and "T-Talk" options. You must ask the bill payer's permission before using the Product. Classic: When using the Classic option of our Product, calls are charged per minute (including VAT) and are charged from the moment of connection. The Charge is incurred even if the destination number is engaged or the call is not answered. Please note that for use of the Classic option of our Products a BT call setup fee is applicable. Costs of calls from non BT operators and mobile telephones may vary, please check with your operator. T-Talk: When using the T-Talk option of our Product, a text to 80077 will cost you £5.00 plus your standard mobile network rate and will be charged by your mobile service provider. Texts to 67400 will cost you £10.00 plus your standard mobile network rate and will be charged by your mobile service provider. Calls billed per minute include VAT and apply from the moment of connection. The connection fee may vary between 0p and 25p depending on the destination you have chosen. Please note that we will only charge you when your call to your destination number is connected, although you may be charged by your operator for a call to an access number even if the destination number is engaged or the call is not answered. Please replace the handset after a short period if your call is engaged or unanswered. If you make a call to a '03' access number this should cost you no more than a national call rate to an '01' or '02' number and must count towards any inclusive minutes in the same way as an '01' or '02' number. If you make a call using '01' or '02' number, a surcharge of 0.5ppm will be applied. Top-Up: To ensure your call is not disconnected, we will automatically top up your T-Talk account with the initial top-up amount when your credit is about to run out. If you would like to cancel the automatic top-up feature, you can text STOP to 80077 or 67400. Any credit you may have will expire ninety (90) days from your last top-up. VODAFONE CUSTOMERS PLEASE NOTE: If you are a Vodafone customer you must only use the Product from your mobile telephone which has been used to buy the international calling Credit. VIRGIN MEDIA CUSTOMERS PLEASE NOTE: If you are a Virgin Media customer you cannot top-up our Product via text message. However, you can top-up our Product online (by PayPal, Credit or Debit Card). Please carefully review the Product information we provide on our Website before placing an Order. You may be able to view various Offers, based on which you can place an Order. Your potential purchase of a Product can be progressed by you making the Order; providing all the necessary information to us via the applicable means on the Website, SMS or via telephone to our Support Centre, including the Payment Information, which is then processed to progress the Order. You must ensure that all Orders you place contain full and accurate information. You must not place an Order unless you expect to be able fully able to fulfill that Order. Should the Order be placed as outlined in Clause 6.2 above we will respond to you by either accepting the Order or detailing why the Order has not been accepted. Prior to the acceptance or non-acceptance, we may send to you an email or confirmation merely acknowledging your Order. Unless we expressly state that your Order is being accepted our email shall be a mere acknowledgement. Until we accept your Order, the Order is not considered binding. All other aspects of the Order and the Products will be subject to these Terms and Conditions. We give no warranty we will accept any Order that you make via the Website or otherwise. Any Payment Information, or personal information, that you provide to us will be governed by the terms of our Privacy and Cookies Policy, and will be processed and passed on to the third party supplier in an encrypted format for the security of such information. No money will be paid by you to us in making an Order - all such monies will be paid directly to the third party supplier by you. Subject to Clause 4, you will always be clearly informed of any applicable Charges before you go ahead with any aspect of the Product. The cost of the calls is set out in the price list available on the Website. All prices shown are fully inclusive of all taxes, VAT and delivery charges. Prices are subject to change at any time. Call charges may be calculated by reference to the details of your calls recorded by, or recorded on our behalf. The duration of the call shall commence by reference to the details of all data transmitted or received by you and will include any present data recorded by or recorded on our behalf. The amount of data will include such data that is added to control the flow of data across the relevant mobile carrier's cellular service network. T-Talk: In accordance with Clause 4.3, 4.4 and 4.5 the T-Talk Product is offered on a pre paid basis only. Unless otherwise expressly provided to the contrary, all payments by you shall be in advance in full. If you have not paid in advance, you will not receive any Product for which you have placed an Order, or any additional functionality that you have registered for on the Website or the Product. When all remaining Credit has been used and you have requested to cease the automatic top-up service as described in Clause 4.4, you will no longer be able to use the Product to make outgoing calls until you have used the top-up facilities available. Credit is non-transferable to any third party accounts. Classic: The Classic Product is offered in accordance with clause 4.2 and will be directly charged to you by your telephone provider. Payment must be made using the correct Payment Information via secure means. You must have the authority to use any payment card, Payment Information or account used to pay us, and you must not use any stolen cards or materials. The card or account must have sufficient money available to cover the proposed payment to us. If the transaction is declined or not appropriately charged, we reserve our right to terminate the Offer. Unless otherwise expressly provided to the contrary, all payments by you shall be in advance in full. If you have not paid in advance, you will not receive any Product for which you have placed an Order, or any additional functionality that you have registered for on the Website or the Product. By giving us your Payment Information you are legally bound by these Terms and Conditions. You will be deemed to have registered on a pre pay service and have given permission for us to charge through you Payment Information the amount initially agreed by us and you. Payment of all sums due shall be made by you in full without any set-off. Cooling Off Period: Upon your receipt of the Product, you will have the right to a fourteen (14) calendar day cooling off period, beginning the day after receipt of the Product. Should you wish to cancel any Order that you have made, you must notify us directly at 020 8497 4622 or email us at support@auracall.com quoting the order reference number allocated to your Order. Provided the Product has not been used in any way, we may refund your Order. If you would like a cancellation form, please also contact us at the above. Please note that we are unable to refund any Credit purchases which cannot be returned to us. Please also be aware that when the Product is refunded, where it is not a fault of ours, any return charges will be applicable to you. In the event of fraudulent Payment Information usage, you will be entitled to a full refund or cancellation of payment. Similarly and as clearly stated in the Consumer Credit Act, any other circumstances which may be due to negligence on behalf of the cardholder may not result in full compensation. If you believe that you have been incorrectly charged for a call you must notify us within seven (7) days of making the call and we will investigate accordingly. We will determine within seven (7) days if there has been an error and credit your account if necessary. From time to time we may post blogs and news stories on the Website for viewing by users. We are not responsible for the contents or accuracy of any such posts, and such posts are for background information only, as detailed under Clause 11.1. Users must make the relevant enquiries before forming their own opinion and acting based on the contents of any such post. You agree not to circumvent the process on the Website or Charges that are due or that would otherwise be due to us if you had used the Product. You shall ensure that all information provided by or on behalf of you to us, or the Website is true, complete and accurate and you shall promptly inform us of any changes to such information. We do not warrant that your use of the Website will be uninterrupted and we do not warrant that any information (or Offers) transmitted via the Website will be transmitted accurately, reliably, in a timely manner or at all. Although we will try to allow uninterrupted access and minimise any downtime to the Product and the Website, access to the Website may be suspended, restricted or terminated at any time for any reason (including for necessary maintenance or introduction of new functionality or content). We reserve the right to change, modify, substitute, suspend or remove without notice any information or Product on the Website from time to time without notice to you. Your access to the Website may also be occasionally restricted to allow for repairs, maintenance or the introduction of new facilities or services. We will attempt to restore such access as soon as we reasonably can. You agree to comply at all times with any instructions for use of the Product in these Terms and Conditions or which we display on the Website from time to time. Nothing on the Website shall constitute advice specific to your circumstances or recommendation. We assume no responsibility for the content or services of any other websites or services to or from which the Website has links. The links are provided "as is" with no warranty, express or implied, for the information provided within those sites. The Product and use of the Website do not include the provision of a computer or other necessary equipment to access the Website or use the Product. To use the Website you will require Internet connectivity and appropriate telecommunication links. We shall not have any Liability for any telephone or other costs that you may incur. We do not warrant that the Website will be compatible with all hardware and software which you may use. Although we may put in place security measures for your protection, (subject to Clause 21.2) we shall not have any Liability for damage to, or viruses or other code that may affect, any computer equipment, software, data or other property as a result of your access to or use of the Website or your obtaining any material from, or as a result of using, the Website. We shall also not have any Liability for the actions of third parties in breaching any security measures. You agree to inform us as soon as you suspect that any user of the Product or Website is in breach of any of these Terms and Conditions. Following receipt of your information, we may investigate and decide what, if any, action to take in our absolute discretion. We shall not enter into discussion as to our decision or the results of our investigation. You must not misuse the complaints facility or falsely report any breach of these Terms and Conditions. We shall perform our obligations and provide a Product which in conformity under these Terms and Conditions with reasonable skills and care. As a consumer, nothing in these Terms and Conditions affects your non-excludable statutory rights. Complaints: We place great value on our customer satisfaction. You may contact us at any time using the contact details given in clause 2.1 of these Terms and Conditions. We will attempt to address your concerns as soon as reasonably possible and will contact you on receipt of any relevant enquiry or complaint. In guarantee cases, the manufacturer frequently must be involved, and as such it may take longer to resolve such an enquiry or complaint. In the event of a complaint it will help us if you can describe the object of your complaint as accurately as possible and, where applicable, send us copies of the Order or at least the Order number that we assign you in the confirmation of the Order. Although we shall try to provide communications within five (5) Business Days, should you not have received any reaction from us within eight (8) weeks (or earlier if a 'deadlock' is reached), please enquire or you may contact our Alternative Dispute Resolution Scheme provider the 'Ombudsman Services: Communications', PO Box 730, Warrington, WA4 6WU. All intellectual property rights of any nature anywhere in the world (including all copyright, database rights, patents, trade marks, service marks, trade names, designs (including the "look and feel" and other visual or non-literal elements), whether registered or unregistered) in the Website and Product, information and content and material on or accessible from the Website, any database operated by us, software on the Website and all the Website design, text and graphics, and their selection and arrangement, and all software compilations, underlying source code and software (including applets and scripts) shall remain our property (or that of our licensors). You shall not, and shall not attempt to, obtain any title to any such intellectual property rights. All rights not expressly granted by us are reserved. None of the material described in Clause 17.1 may be reproduced or redistributed without our prior written permission. You may, however, retrieve and display the content of the Website on a computer screen, store such content in electronic form on disk (but not on any server or other storage device connected to a network) or print one copy of such content for your own personal, non-commercial use, provided you keep intact all and any copyright and proprietary notices in any electronic or hard copy of the material or the Website. You shall not otherwise reproduce, modify, copy or distribute or use for commercial purposes any of the materials or content on the Website without our permission. No part of the Website or the material described in Clause 17.1 may be reproduced or stored in any other website or included in any public or private electronic retrieval system or service without our prior written permission or as provided by law. Except to the extent that we expressly permit, you must not modify any material described in Clause 16.1. All rights (including goodwill) in the Product names and logos are owned by us (or the third party supplier or our or their licensors). Other product and company names mentioned on the Website are the trade marks of their respective owners. Where either you or we disclose Confidential Information of the other party to its employee, consultant, subcontractor, supplier, customer, agent, professional adviser or insurer, it shall do so subject to obligations equivalent to those set out in this Clause 19. Each party shall use its reasonable endeavours to ensure that any such employee, consultant, subcontractor, supplier, customer, agent, professional adviser or insurer complies with such obligations. Neither you nor we shall make any announcement of any kind in respect of the subject matter of these Terms and Conditions except with the prior written consent of the other party (not to be unreasonably withheld or delayed) or as is required by law. Subject to Clause 18.6, we may identify you as a user of the Website and the type of Products provided by us to you (or the type of services that you provide if you are a service provider), provided that in doing so we shall not (without your prior written consent) reveal any of your Confidential Information. These Terms and Conditions shall commence on the date on which you agree to these Terms and Conditions when purchasing a Product. From receipt of confirmation of our acceptance of your purchase the Product you will have a cooling off period of fourteen (14) calendar days in which to cancel these Terms and Conditions (or any aspect under it) and receive a refund, subject to Clause 9.1. If we suspend or terminate your use of the Product and/or Website (in whole or in part) under Clause 19, you shall not attempt to use or access the Product and/or the Website directly or indirectly under any other name. If we suspend the Product or Website (in whole or in part), we may refuse to restore the Product or Website until we receive an assurance from you, in a form we deem acceptable that there will be no further breach of the provisions of these Terms and Conditions. Either you or we may terminate these Terms and Conditions immediately by notice, in accordance with Clause 23.8, to the other without cause. If we terminate these Terms and Conditions under this Clause 19.5, then provided you have not been in any breach of these Terms and Conditions we will return any Charges paid by you to us on a pro rata basis (if applicable). In all other cases (except to the extent that we have been in material breach of these Terms and Conditions or that we have provided for elsewhere in these Terms and Conditions), any other Charges paid by you shall be non-refundable. Each of your and our rights to terminate these Terms and Conditions shall not prejudice any other right or remedy you or we may have in respect of any breach or any rights, obligations or liabilities accrued prior to termination. any liability owed by you to another customer of ours. Nothing in these Terms and Conditions shall exclude or limit our Liability for (i) the tort of deceit; (ii) death or personal injury caused by our Breach of Duty; (iii) any breach of the obligations implied by s.12 Sale of Goods Act 1979 or s.2 Supply of Goods and Services Act 1982; or (iv) any other Liability which cannot be excluded or limited by applicable law. In performing any obligation under these Terms and Conditions, our only duty is to exercise reasonable care and skill and comply with the relevant codes of conduct under the Consumer Protection from Unfair Trading Regulations 2008. Please contact our Support Centre should you wish to request any further information on the above. We do not warrant and we exclude all Liability in respect of the accuracy, completeness, fitness for purpose or legality of any information accessed using the Product or Website; and we exclude all Liability of any kind for the transmission or the reception of or the failure to transmit or to receive any material of whatever nature. We have no liability whether in contact, tort or otherwise for the acts or omissions of other providers of telecommunications services or for faults in or failures on the Product. You should not rely on any information accessed using the Website to make a purchasing decision - you should make your own enquiries before forming your own opinion and taking any action based on any such information. Save as provided in Clause 21.2 but subject to Clause 21.7, we do not accept and hereby exclude any Liability for loss of or damage to your (or any person's) tangible property other than that caused by our breach of duty. Save as provided in Clause 21.2 but subject to Clauses 21.6 and 21.9, our Liability for loss of or damage to your (or another person's) tangible property caused by us, our employees, subcontractors or agents acting within the course of their employment during the performance of these Terms and Conditions, shall not exceed £10. Neither corruption of data nor loss of data shall constitute physical damage to property for the purposes of this Clause 21.7. Save as provided in Clauses 21.2 and 21.6, we do not accept and hereby exclude any Liability for breach of duty other than any such Liability arising pursuant to the terms of these Terms and Conditions. Subject to Clause 21.9, in any event of our liability in contract, tort (including negligence and breach of statutory duty) or otherwise arising by reason of or in connection with these Terms and Conditions or howsoever caused shall be limited to £500,000 for any one incident or series of related incidents and £1,000,000 for any series of incidents related or unrelated in any period of twelve (12) months. The limitation of Liability under Clause 21.10 has effect in relation both to any Liability expressly provided for under these Terms and Conditions and to any Liability arising by reason of the invalidity or unenforceability of any term of these Terms and Conditions. "Breach of Duty" means the breach of any (i) obligation arising from the express or implied terms of a contract to take reasonable care or exercise reasonable skill in the performance of the contract or (ii) common law duty to take reasonable care or exercise reasonable skill (but not any stricter duty). Please see our Privacy and Cookies Policy which forms part of these Terms and Conditions. You must have the express consent of any third party (including any relatives or friends) in order for you to disclose or post details about that other third party to us or to the Website and you will be responsible for ensuring that such third party has agreed to these Terms and Conditions before you send any data about them to us or the Website. No partnership/agency: Nothing in these Terms and Conditions shall be construed to create a joint venture, partnership or agency relationship between you and us and neither party shall have the right or authority to incur any liability debt or cost or enter into any contracts or other arrangements in the name of or on behalf of the other. No other terms: Except as expressly stated in these Terms and Conditions, all warranties, conditions and other terms, whether express or implied, by statute, common law or otherwise are hereby excluded to the fullest extent permitted by law. Assignment: You shall not assign or delegate or otherwise deal with all or any of your rights or obligations under these Terms and Conditions without our prior written consent (which consent we may grant or withhold in our absolute discretion). Neither us or you shall have any Liability for any breach, hindrance or delay in performance of its obligations under these Terms and Conditions which is caused by an Event of Force Majeure, regardless of whether the circumstances in question could have been foreseen. An "Event of Force Majeure" means any cause outside of the party's reasonable control, including act of God, actions or omissions of third parties (including hackers, suppliers, couriers, governments, quasi-governmental, supra-national or local authorities), insurrection, riot, civil war, civil commotion, war, hostilities, threat of war, warlike operations, armed conflict, imposition of sanctions, embargo, breaking off of diplomatic relations or similar actions, national emergencies, terrorism, nuclear, chemical or biological contamination or sonic boom, piracy, arrests, restraints or detainments of any competent authority, blockade, strikes or combinations or lock-out of workmen, epidemic, fire, explosion, storm, flood, drought, adverse weather conditions, loss at sea, earthquake, natural disaster, accident, collapse of building structures, failure of plant machinery or machinery or third party computers or third party hardware or vehicles, failure or problems with public utility supplies (including general: electrical, telecoms, water, gas, postal, courier, communications or Internet disruption or failure), shortage of or delay in or inability to obtain supplies, stocks, storage, materials, equipment or transportation. Each Party agrees to inform the other upon becoming aware of an Event of Force Majeure, such notice to contain details of the circumstances giving rise to the Event of Force Majeure. The performance of yours and our obligations shall be suspended during the period that the circumstances persist and either party shall be granted an extension of time for performance equal to the period of the delay. If performance of any obligations are delayed under this Clause 25, each party shall nevertheless accept performance as and when the other shall be able to perform. If the Event of Force Majeure continues without a break for more than three months, either party may terminate these Terms and Conditions immediately by notice to the other, in which event neither party shall be liable to the other party by reason of such termination. Entire Agreement: These Terms and Conditions (and our Privacy and Cookies Policy and any other document referred to in these Terms and Conditions and any other terms and conditions specifically agreed between you and us in writing) contains all the terms agreed between the parties regarding its subject matter and supersedes and excludes any prior terms and conditions, understanding or arrangement between the parties, whether oral or in writing. No representation, undertaking or promise shall be taken to have been given or be implied from anything said or written in negotiations between the parties prior to these Terms and Conditions except as expressly stated in these Terms and Conditions. Neither party shall have any remedy in respect of any untrue statement made by the other upon which that party relied in entering into these Terms and Conditions (unless such untrue statement was made fraudulently or was as to a matter fundamental to a party's ability to perform these Terms and Conditions) and that party's only remedies shall be for breach of contract as provided in these Terms and Conditions. However, the Auracall Product is provided to you under our operating rules, policies, and procedures as published from time to time on the Website. No waiver: Unless a party expressly states in writing that it is waiving a particular power, right or remedy in a particular stated instance, no failure or delay or omission by either party in exercising any power, right or remedy under these Terms and Conditions or at law shall operate as a waiver of such power, right or remedy; and no waiver in any particular instance shall extend to or affect any other or subsequent event or impair any powers, rights or remedies in respect of it or in any way modify or diminish that party's other powers, rights or remedies under these Terms and Conditions or at law. Severability: If any provision of these Terms and Conditions is held to be unlawful, invalid or unenforceable, that provision shall be deemed severed and where capable the validity and enforceability of the remaining provisions of these Terms and Conditions shall not be affected. Notices: Unless otherwise stated within these Terms and Conditions, notices to be given to either party shall be in writing and shall be delivered by hand or prepaid overnight courier mail or by fax or by email, which shall be sent to you at the contact details supplied to us or the Website or to us at the contact details as specified on the Website. Notices shall be deemed received one full Business Day after the time of dispatch. No third party rights: Unless expressly provided in these Terms and Conditions, no term of these Terms and Conditions is enforceable pursuant to the Contracts (Rights of Third Parties) Act 1999 by any person who is not a party to it. Survival: The provisions of Clauses 1, 2, 3, 4, 5, 6, 7, 8, 9, 10, 11, 12, 13, 15, 17, 18, 19, 20, 21 and 22, 23 and the disclaimers in these Terms and Conditions relating to use of the Product or to third parties, together with those provisions that either are expressed to survive its expiry or termination or from their nature or context it is contemplated that they are to survive such termination, shall survive termination of these Terms and Conditions. Governing law: These Terms and Conditions (and any non-contractual right or obligation arising out of or in relation to it) shall be governed by and construed in accordance with English law and you hereby submit to the jurisdiction of the English courts. The parties irrevocably agree that the English courts shall have exclusive jurisdiction over any claim or matter brought by the user of the Website in relation to these Terms and Conditions. Nothing in this Clause 23.11 shall limit our right to take proceedings against you in any other court of competent jurisdiction. All dealings, correspondence and contacts between the parties shall be made or conducted in the English language. We will not file a copy of these Terms and Conditions.